Indulge yourself with rejuvenating spa and massage treatments in our serene Spa Suites. 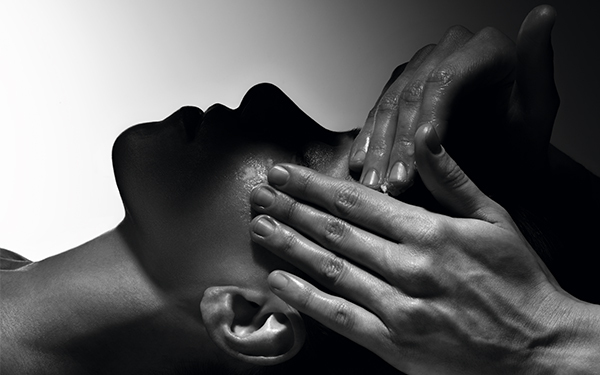 Relax in supreme comfort and choose from a wide selection of head, body, and facial treatments. Our dedicated spaces echo the tranquillity of nature and falling water. Take your stay with us to the next level of elegance and revitalization. MEGURI SPA & WELLNESS invites you to enjoy the exclusive spa journey.The Five Elements – concepts of Wood, Fire, Earth, Metal and Water make you realise that you yourself are a part of the great circulation of this beautiful natural world. MEGURI SPA & WELLNESS provides 3 kinds of signature treatments based on OSAKA HONEY which is exclusively made in Osaka, using seasonal and local flowers of the area. It contains active ingredients for health and beauty such as vitamins, minerals, enzymes and lactic acid bacteria. 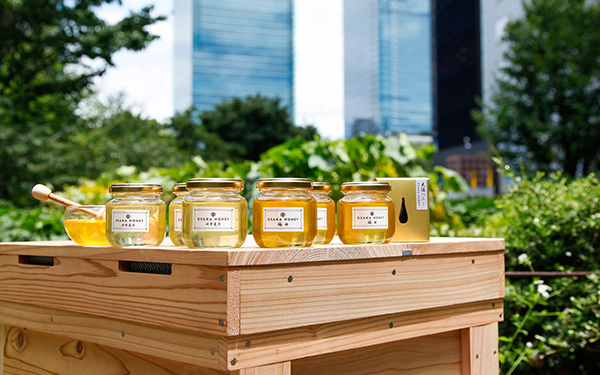 Flying freely between skyscrapers in Osaka, these honeybees are the tiny messengers who teach us the precious natural MEGURI, “Circulation” and our icons exemplify MEGURI Spa concept. MEGURI SPA & WELLNESS offers two types of head spa treatment with using Biologique Recherche products, which have applied its experience with skin care to hair care to produce a cutting edge range of products that help restore and recondition the scalp, resulting in full-bodied, healthy hair. 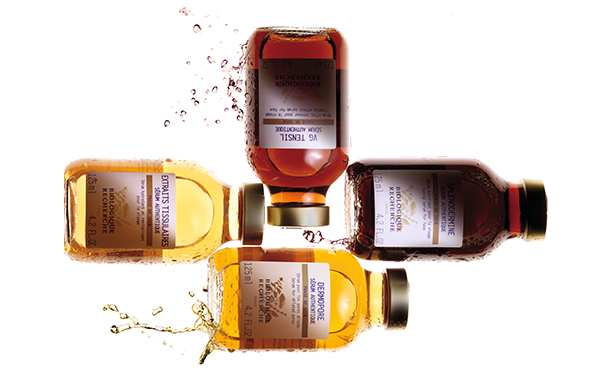 The Biologique Recherche Methodology has a reputation for astounding effectiveness based on a clinical approach to beauty care using intentionally pure, concentrated and raw ingredients, as well as following innovative and meticulous protocols and procedures. It is used for 3 courses of facial treatments, also for several options that you can use in conjunction with other menu. The last appointment of the day is accepted by 20:30. For treatments before our business hours (10:00), please make an inquiry by 20:30 the day before your appointment day. Please arrive 15 mins before your appointment time. Arriving late will limit the time for your treatment, as your treatment will end on time to insure that the next guest will not be delayed. Those booking treatments 90 mins or longer treatment may use Bath House. To use Bath House, please arrive one hour before your appointment time. Both hotel guests and visitors are welcome to book spa treatments. We oer treatments for both men and women. Our spa treatments are by appointment only. Please call, visit us or ask the hotel front desk, beforehand to make reservations and/or for inquiries during our business hours. Please feel free to contact us for same-day appointments. Please kindly notify us for cancellations or changes by 20:30 the day before your appointment. Failure to do so may result in a 100% cancellation fee. Communication with our guests is highly valued at our spa. If you have questions regarding menus or do not know which menu is suitable, please feel free to ask our therapists for a consultation. If you have a special request, please inform us in advance when making a reservation. Lockers are not available at our spa. Please keep your belongings and valuables in the safety deposit box at hotel front desk or in your room. Please acknowledge that our hotel/spa cannot accept responsibility for loss or damage to your personal belongings/valuables. Both hotel guests and visitors are welcomed to visit and shop at our spa boutique. 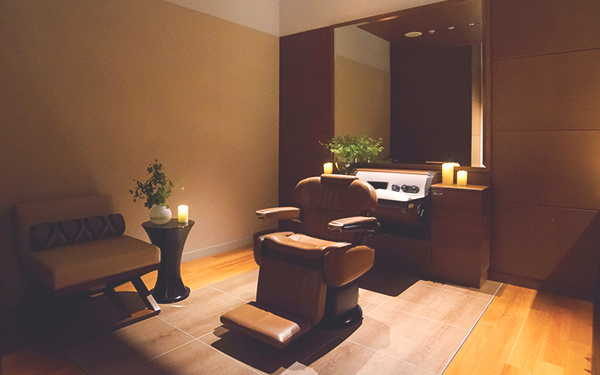 Our spa is a place of tranquility and relaxation. Please respect the silence and privacy of other spa guests by refraining from using cell phones/cameras in our spa. Smoking is prohibited. Our spa reserves the right to refuse service or discontinue service to anyone demonstrating behavior that is perceived to be inappropriate by any member of our staff and/or other guests. The treatments are not medical treatments. The results will vary accordingly to the individual.